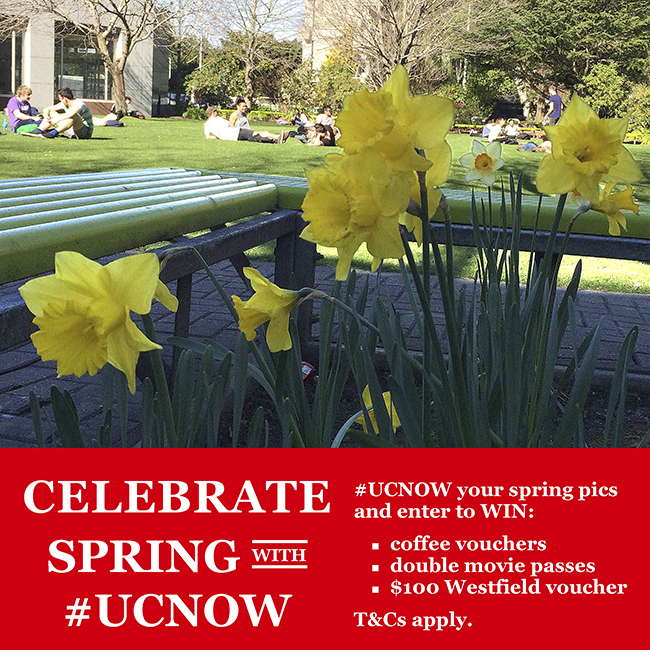 Share your UC spring pics with #UCNOW. There are random daily coffee vouchers up for grabs. The ‘Pic of the Day’ will be regrammed to Instagram and win a double movie pass! PLUS the regram with the most favourites on Instagram will win a $100 Westfield voucher! Visit www.ucnow.canterbury.ac.nz for details and full T&Cs. Previous PostTake a virtual tour around the Undercroft!Next PostUC Pharmacy has all your needs covered!